Cable type - 2464, copper wire inside. Prefect fit for the amazon echo spot power adapter. For Amazon Echo Spot only ! need to work with the original AC adaptor! Cable length - 9.8ft/3m , Cable type - 2464, copper wire inside. Cable thickness - 20AWG ,Cable OD - 3.5mm. Application: Connect your audio devices quickly and easily. 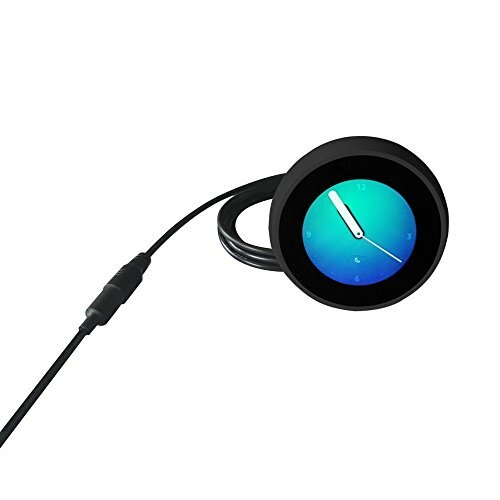 This connection cable serves as a flexible extension for amazon echo Spot | quick connection of amazon echo spot components for superior sound quality .